Have you ever looked under the case of our Impact ionization avalanche transit time diode (IMPATT diode)? Of course, the right answer would be “NO”, because it is prohibited according to our operating instructions specified in the User’s Manual for sub-terahertz wave source. But we know for sure that a lot of our customers would like to peep inside anyway, as we keep getting a lot of inquires related to IMPATT internal structure. So, seeking to satisfy their curiosity we decided to make up a separate document called TECHNICAL SPECIFICATION Sub-Terahertz Wave Source. This is a detailed technical description, which provides a picture of the IMPATT diode showing all essential components, e.g. metallic resonator, protective isolator, heat sink, output flange, metallic base-plate etc. The last section called INTERNAL COMPONENTS clearly shows the whole internal structure including internal output flange to which a conical horn is attached inside of the IMPATT’s metal case. Of course, there are a number of other merits of this document. For instance, it briefly outlines operating principle of THz radiation excitation, shows the flow-diagram of the device and tells how generation mode of the oscillations in the sub-terahertz range is achieved. It also underlines the salient advantages of IMPATT diodes as compared to other oscillators. For further information please visit our web-page for TECHNOLOGY -- IMPATT diodes. Additionally, the document gives a short list of accessories included into supply package, which may also help preempt some of our customers’ questions. However, it is the PREPARATION FOR USE section which appears to be most critical for every user. This section lists highly important SAFETY PRECAUTIONS, which if neglected may lead to a failure or serous damage to the device. For instance, along with precautions relative to overheating and proper grounding, there are strong recommendation to avoid setting any high-reflectivity surfaces in the vicinity of the device (within 100 mm of it or closer). This advice may not look self-explanatory to all users and we recommend to check out other instructions to ensure optimal operations of the device. Well, instead of telling you about the content of the document it would be more reasonable to let you judge it for yourself by looking into it. You are welcome to request such TECHNICAL SPECIFICATION together with the Manual for IMPATT diode. After all we hope it will help you make the final purchase decision. Terasense Group Inc. is a leading manufacturer of innovative portable terahertz (THz) imaging systems, Terahertz imaging cameras, THz sources and THz detectors. Our products balance at the cutting edge of scientific and technological breakthroughs and have a number of competitive advantages. 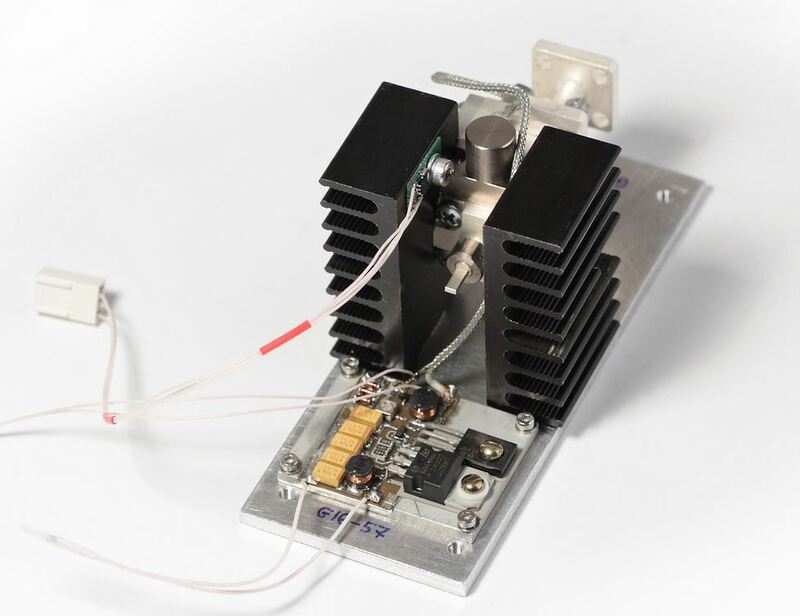 You can also request to be subscribed to our information mailing list and you will occasionally receive messages designed to keep you informed of any company changes and developments in terahertz technology.